1. More than one hundred public works employees for the City of Oakland staged a sickout this week as contract negotiations between the city and public employee unions continue to drag on, the Trib$ reports. The workers, who belong to SEIU Local 1021, are upset because they say they’ve been forced to take on new duties without compensation. Labor leaders said the sickout was not organized by the union. 2. 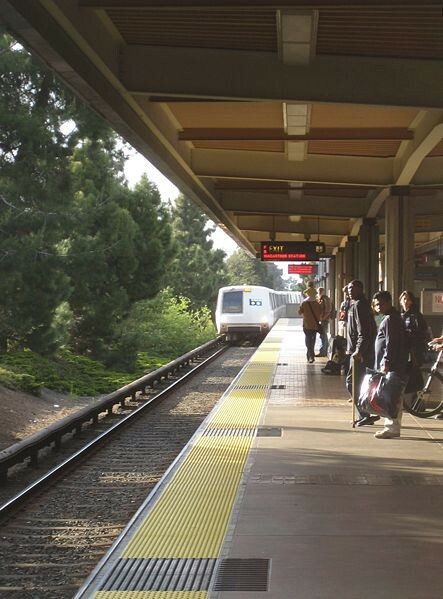 BART will close the transbay tube this weekend for major track repairs, thereby shutting down service between the East Bay and San Francisco, the Chron reports. The shutdown will be in effect all day Saturday and Sunday, and then will be repeated on Labor Day weekend. 3. The developer of a proposed high-rise in downtown Berkeley announced that the project will include ten Landmark movie theater screens — to replace the eleven Landmark screens that will close as result of construction, Berkeleyside reports. 4. Californians slashed water usage by 27 percent in June, surpassing the 25-percent cutback mandated by Governor Jerry Brown, the Mercury News$ reports. 5. UC Berkeley is receiving a $1.2 million federal grant from the US Geological Survey to further develop an earthquake warning system in California, the CoCo Times$ reports. 6. State Board of Equalization Member Fiona Ma is proposing that the state create a special bank for the medical cannabis industry, because most private banks refuse to do business with dispensaries due to threats from the federal government, the Sacramento Business Journal$ reports (h/t Rough & Tumble). 7. And 68 percent of previously uninsured people in California now have health insurance thanks to Obamacare, the Mercury News$ reports, citing a new study.